Note: This post is long overdue! Back in March, Cebu Pacific held a seat sale so Coach and I booked tickets to Singapore for August. Our intention was to take the train from there to Kuala Lumpur, to Penang, on to Bangkok, take the bus to Siem Reap then Ho Chi Minh City, then do it all again in reverse to get back to Singapore. We weren’t planning on bringing Little B along. But honestly, when I was booking the tickets, I wasn’t thinking about her too much. I was worrying about being able to still get cheap tickets! Fast forward to June. Coach and I decided we’d take her with us, after much deliberation on my part. I wanted to bring her and I didn’t want to bring her, for several reasons. But I’m glad we did. Everyone kept asking us why we wanted to bring her along. We’d have such a hard time, they said. We won’t be able to enjoy, they said. She proved them wrong because Little B turned out to be a fantastic traveler. She was no trouble at all! She didn’t cry on the planes, didn’t cry on the trains. Granted, there were places we couldn’t go (Patpong anyone?) and things we couldn’t do (I couldn’t go into the Cuchi Tunnels carrying her!) but we found other activities nonetheless. I carried her in my baby carrier when we couldn’t be bothered to bring the stroller around with us. She often napped while we were on the go, most likely lulled into sleep by my walking or the movements of the stroller. 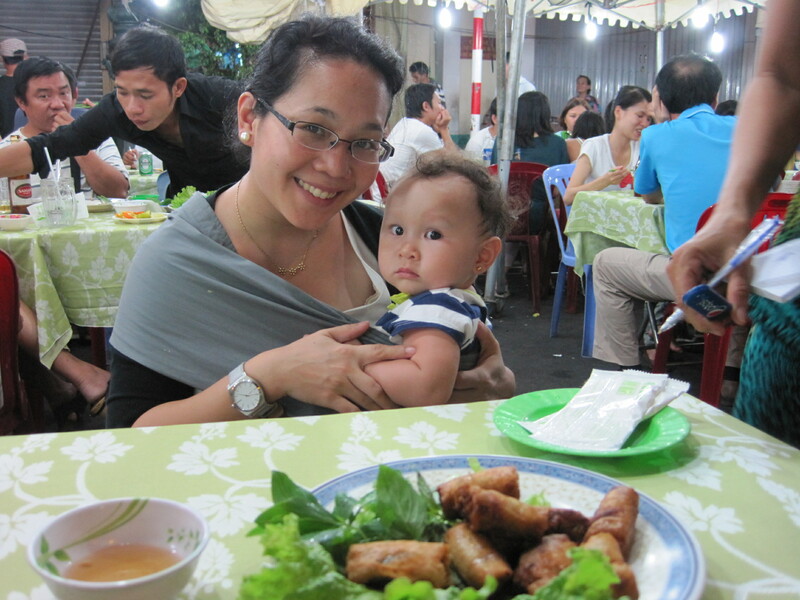 She ate everything we ate – even the street food. My mom specifically warned us about it before we left, but obviously we didn’t listen. Little B seemed to be enjoying the food anyway! One thing though – the people in the cities we visited LOVE babies. Everyone was playing with her (especially on the trains!) and trying to engage her in some way. Several times people would try to carry her but she wouldn’t have any of it, and let them know via a shriek or a cry. 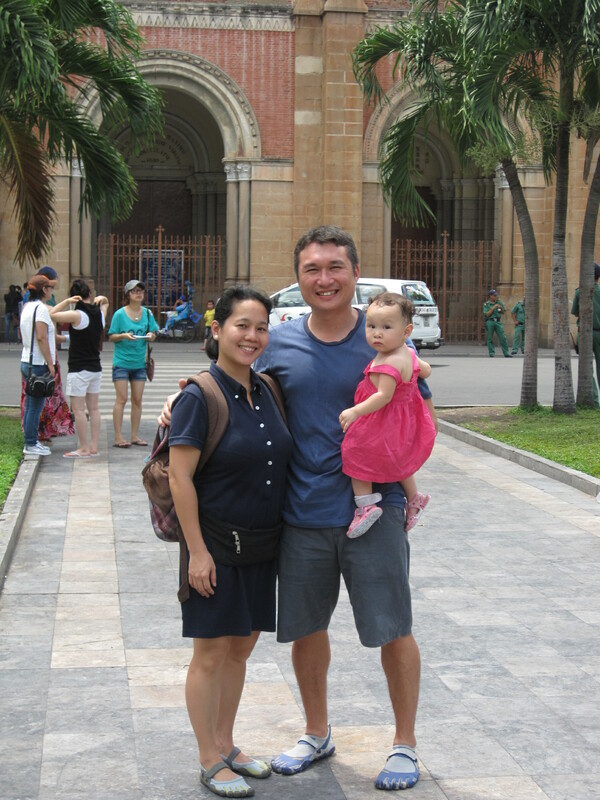 We skipped Siem Reap due to the HFMD outbreak (she ended up getting it anyway, but that’s another story) and flew from Bangkok to Ho Chi MInh City, and from HCMC flew to KL. We finally had a play date with her cousins in Singapore. 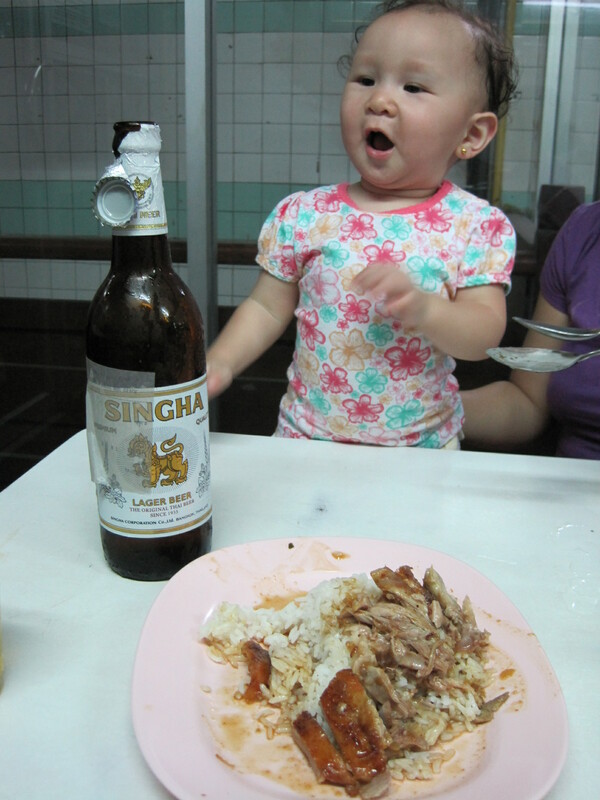 She took her first steps in Bangkok. For that alone, it was worth it.